“Australians are global wanderers, which is both the curse and benefit of living in Australia. You are so far from anywhere, that when you travel, you travel past almost every country in the world,” reflects Dr. Richard A. Jonas. He cites his own birth, youth and education in Adelaide, a city on the south-central coast of Australia, as the reason that globalization intrigues him. He believes that heart surgeons have a responsibility to champion and work toward the development of high standards for heart surgery in third world countries. Dr. Jonas practices what he preaches. Just after he joined the staff at Boston Children's Hospital in 1984, he was invited by Project Hope to develop a pediatric heart surgery program in Shanghai, China. After 2 years of fundraising and team building, Dr. Jonas led a team of 15 professionals to Shanghai in March 1986. There his team encountered many challenges in trying to teach pediatric heart surgery in an environment where the power or water supply could go off at any time. After his first visit to Shanghai, Dr. Jonas returned repeatedly to teach. Today, the program is probably one of the busiest in the world with more than 3500 pump cases annually. Meanwhile, back at Boston Children’s Hospital, important advances were taking place in the field of pediatric heart surgery. In January 1983, Dr. William Norwood had published the first report of successful surgical repair of a child’s heart with hypoplastic left heart syndrome and, he and Dr. Aldo Castaneda performed the world's first successful neonatal arterial switch procedures. When Dr. Norwood left for Boston Children's, Dr. Jonas was invited by Dr. Castaneda to take his place. There he performed many Norwood operations, surmounting challenges presented by each case. However, his first love medical research was never far from Dr. Jonas’ mind. In conjunction with his clinical practice, and colleagues Drs. Jane Newburger and David Bellinger, Dr. Jonas studied the potential risk factors for brain injury and neurodevelopmental disability after cardiac surgery in neonates. This led to the landmark congenital Boston Circulatory Arrest Study. That study, along with an early terminated hemodilution study by the National Institutes of Health (NIH), led to a worldwide change in how neonates and infants are put on cardiopulmonary bypass. In 1994, Dr. Jonas was appointed the William E. Ladd Professor of Child Surgery at Harvard Medical School and Surgeon-in-Chief of the Department of Cardiac Surgery at Boston Children's Hospital. He grew the program to become one of the most prestigious in the country. 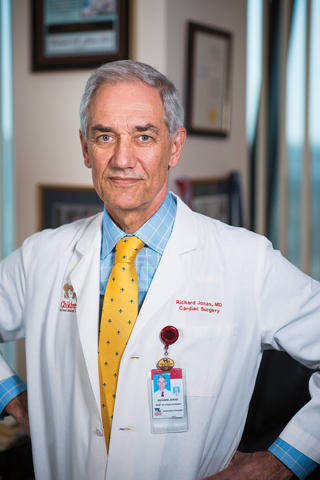 After 22 years at Boston Children’s, he moved to Children's National Medical Center in Washington, DC where he has led the expansion of its cardiac surgery clinical and laboratory research programs. In 2004, Dr. Jonas wrote and published Comprehensive Surgical Management of Congenital Heart Disease. The second edition was released in 2014.